I had heard this particular war story on many occasions, very detailed, with the odd embellishment each time it was told, but ask what he did yesterday and the topic would change. Dementia was slowly affecting my Grandfather’s thinking, behaviour and his ability to perform daily tasks. Eventually, there came a time when my Grandmother couldn’t care for him at home and he went to live in a nursing home. This was a stressful and emotional time for everyone. I think most people romanticise they will be living in their home surrounded by their loved ones until the end. His new home was depressing, the memories I have connect to the environment and still fills me with dread and anxiety when I think about it. 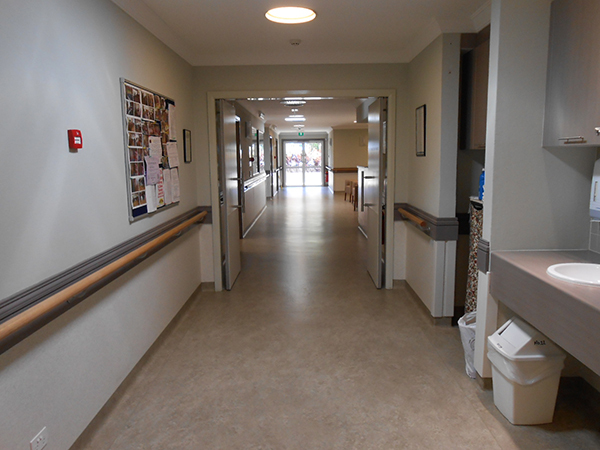 I remember all the residents were escorted or wheeled through the hospital like corridors into the stark communal room. I couldn’t call it a lounge this would conjure thoughts of comfort and relaxation. 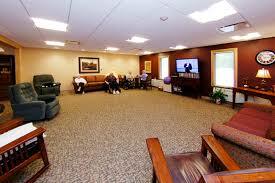 All residents, at different stages of dementia, sitting in a circle looking at one another until the next meal. This was their home without any hint of homeliness. Where in this environment was the dignity? The Australian population is ageing and so too is the number of people developing dementia, it is estimated 1 in 10 people over 65 have dementia and 52% of aged care residents (1). Dementia is an ‘overall term that describes a group of symptoms associated with a decline in memory or other thinking skills severe enough to reduce a person’s ability to perform everyday activities.’(2) However many people with dementia are physically fit and can still be assisted to perform everyday activities. Glen Hougan a Canadian designer and academic (3) advocates that a different way of thinking is required when designing for older people. Traditionally, he proposes design practices have been ageist, and design outcomes have been based on stereotypes. Ageism is stereotyping and discrimination against older people, where we characterise them all, for example, as being frail, weak, unwell, having poor mobility, difficulty learning, a decreased appreciation for life and less social capabilities. These are all myths and as a result, discrimination decreases older people’s perception of self-worth, feeling devalued, invisible, unworthy (4). 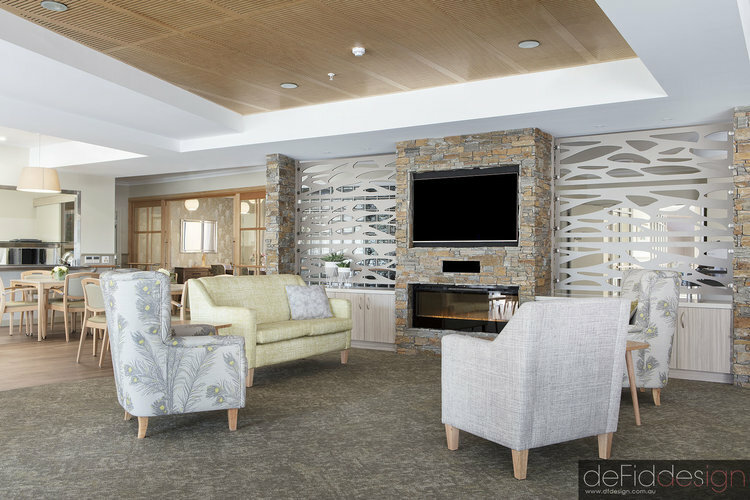 Designing a residential aged care facility (nursing home) based on stereotypes often results in an environment that is medical, institutional, purely functional and often not aesthetically pleasing. These spaces are disabling, disempowering and restrictive for the residents. 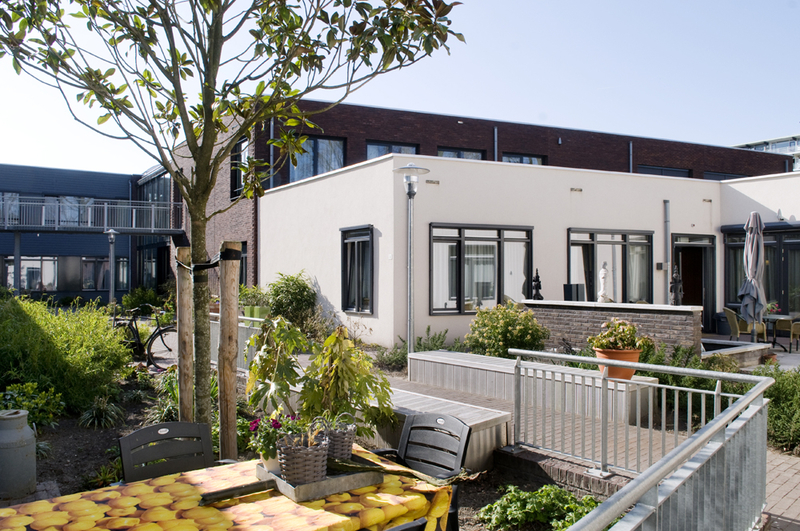 For residents this new environment is going to be their home, for some it could be 10-15 years, it should therefore be a ‘normal’ space and not medical, one which is enabling, empowering and inclusive. Normalising – moving away from an institutional environment to a ‘living as usual’ environment. 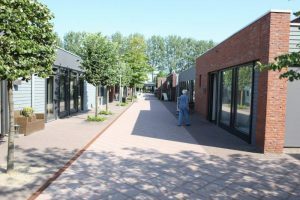 De Hogeweyk village is an aged care facility for older people with dementia. 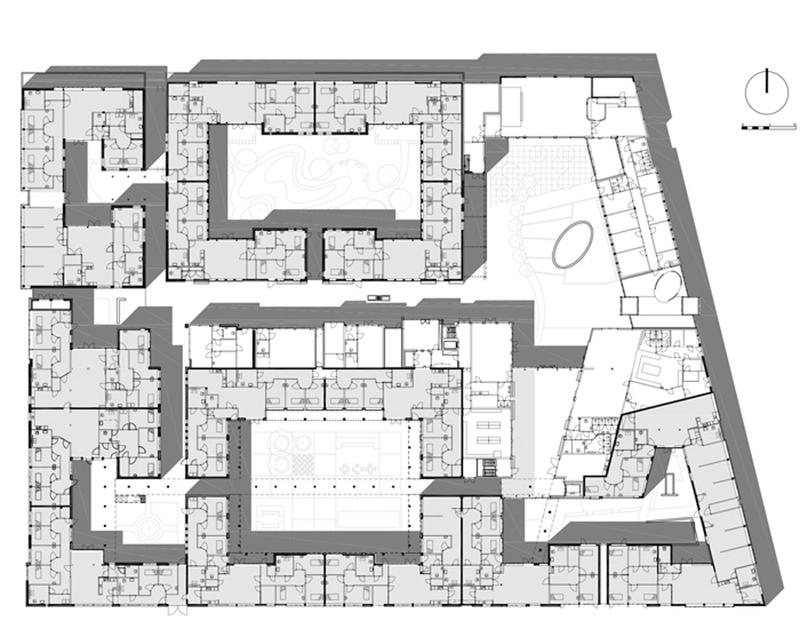 The village houses 152 residents in 23, 8 bedrooms, 2 storey townhouses and has been designed around culture and traditions, family and community, personal freedoms and aesthetic familiar surroundings. People reside in houses, are involved with daily household tasks, make their own routines and are assisted by health professional and volunteers. The gated neighbourhood has parks, squares, streets, a supermarket, cafe, bar and a theatre. People are free to wander and socialise. Research to date for this model of care has shown high satisfaction amongst the residents, families and staff. There are no bedridden residents and there has been a decrease in aggression (5). People are living longer, with an improved quality of life and are taking fewer medications. 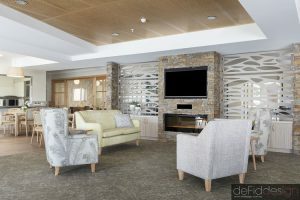 (6) Australia’s first dementia village, The Korongee project, is currently being built in Tasmania, designed by architectural firm Thomson Adsett. The site will have a typical Tasmanian streetscape to create familiar surroundings. Site Plan De Hogeweyk Dementia village, Netherlands. 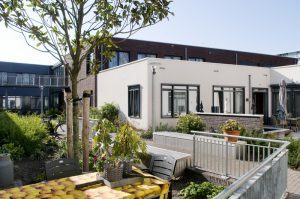 Gated estate for residents with dementia. 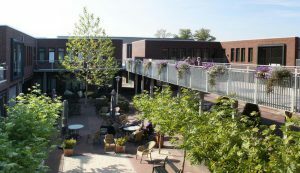 Urban streetscape provides a familiar environment for the residents. 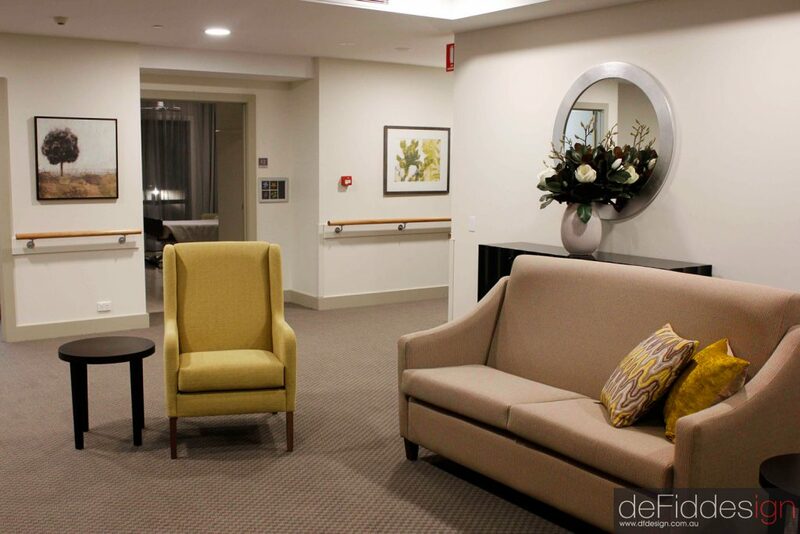 By architects being involved in changing the environment for aged care facilities from being disabling to enabling it will debunk the analogy of aged care being, ‘Gods waiting room.’ Residents will no longer be sitting, looking at one another and waiting but living, and that is an environment that is dignified. 3. Eastern Stat Masonic Retirement HOme, Iowa, USA.